Special Olympics continued to make strides for inclusive health systems at the 2018 Global Athlete Congress and World Tennis Invitational in Santo Domingo, Dominican Republic. The Organization of American States (OAS) and Special Olympics signed an agreement to promote sports, physical activity, health, inclusive education, sustainable and human development, and human rights of people with intellectual disabilities. Special Olympics Healthy Athletes®, made possible by the Golisano Foundation, provided 747 free health screenings and education to 171 athletes and 32 Unified partners from 28 Special Olympics Programs in four disciplines: Fit Feet (podiatry), Opening Eyes (vision), FunFitness (physical therapy/fitness), and Health Promotion (nutrition and healthy habits). Healthy Athletes also served as a healthy setting and welcomed health workers from eight ministries of health: Costa Rica, Dominican Republic, Paraguay, Brazil, Jamaica, Guatemala, Peru and Chile. Disability and health systems experts from the World Health Organization (WHO)/Pan American Health Organization (PAHO) were present to provide technical advice on collaborations with ministries of health. 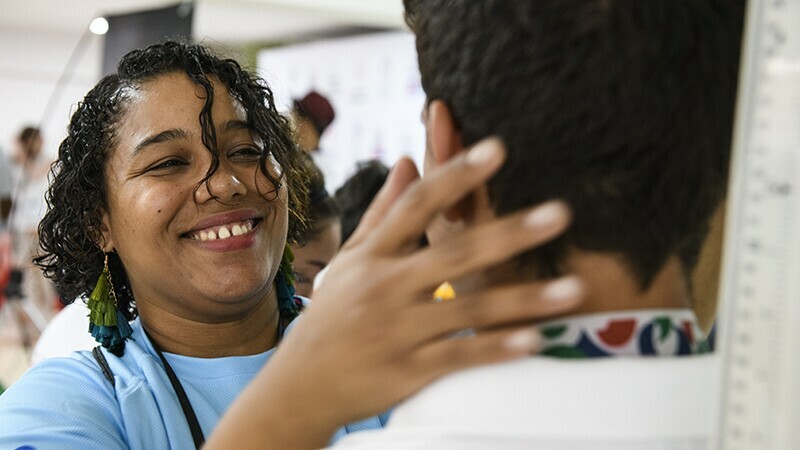 One year ago, Special Olympics signed an agreement with PAHO to ensure health systems in the Americas are inclusive of people with intellectual disabilities. Through this partnership, the health workers from these eight countries in the Americas attended a Health Promotion Train-the-Trainer (TTT) session and served as health volunteers at Healthy Athletes. These professionals will return to their countries equipped to train their peers on how to provide quality health care to people with intellectual disabilities, including Special Olympics athletes. 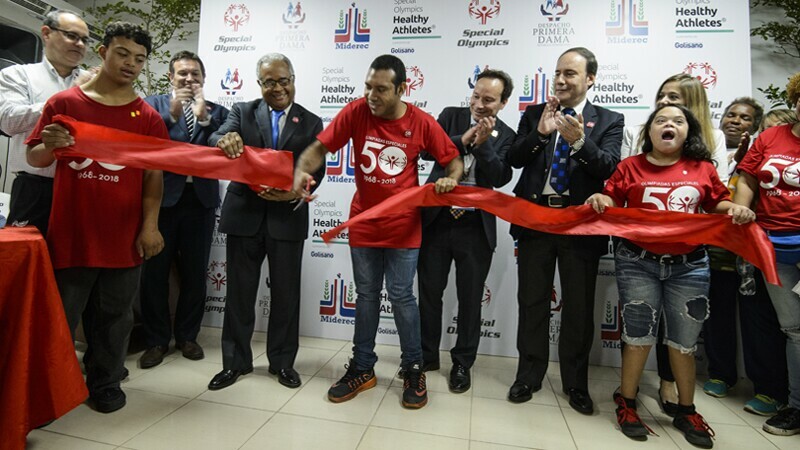 Special Olympics Dominican Republic athlete Alvaro Valdez cuts the ribbon to officially welcome athletes and volunteers to Healthy Athletes. He is joined by Special Olympics athletes, volunteers, the Minister of Health of the Dominican Republic Dr. Rafael Sánchez Cárdenas, Antony Duttine and Hernán Rodríguez of the Pan American Health Organization, and Gonzalo Larrabure and Javier Vasquez of Special Olympics. Despite severe need and higher health risks, people with ID lack access to quality health care and die on average 16 years younger than the general population. 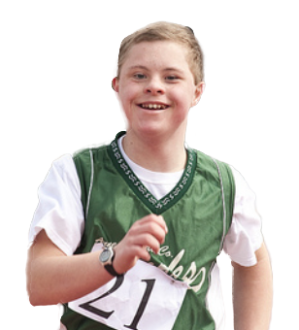 As part of a comprehensive effort to catalyze systems level change among local governments, policymakers, health care providers, and ministries of health around the world, Special Olympics collected real-time data from Healthy Athletes screenings to examine health disparities that exist among people with intellectual disabilities. 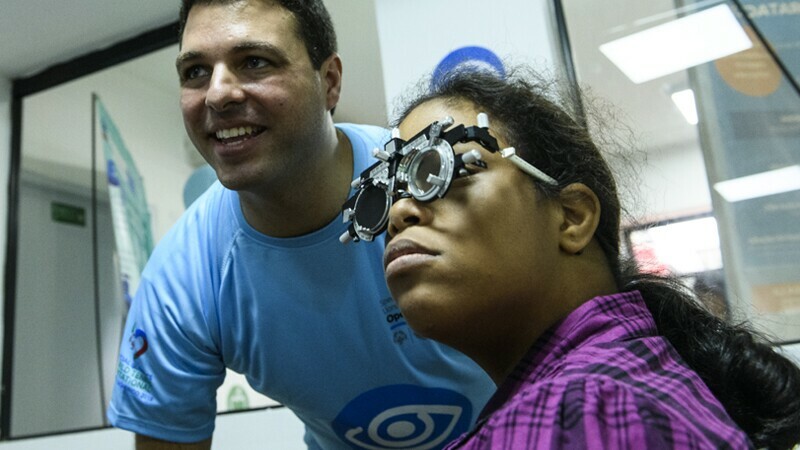 Rosanna Jimenez, a Special Olympics Dominican Republic athlete, gets help with an eyeglass prescription. Dr Juan Francisco Valle Logiano guided her through the process. Globally, 13% of adults are obese, compared to 31% of all Special Olympics adult athletes. For children and adolescents 5-19 years old, global prevalence of obesity is estimated at 6% for girls and 8% for boys, compared to 17% of all Special Olympics athletes under at 20. In the Special Olympics Latin America region, obesity rates for adult athletes are 15% and for children and adolescents is 18%. Data collected during Healthy Athletes screenings at the 2018 Global Athlete Congress and World Tennis Invitational demonstrate that 20% of adult athletes and 26% of youth athletes screened were obese, demonstrating the need for ongoing prevention programming. In addition to health screenings, Healthy Athletes allows local health professionals to provide culturally appropriate health education to athletes while encouraging healthier behaviors, such as eating more fruits and vegetables and engaging in daily physical activity. These health promotion approaches help reduce non-communicable diseases (e.g. cardiovascular diseases and some types of cancers), which are costing 15 million deaths per year worldwide. Health events at the 2018 Global Athlete Congress and World Tennis Invitational bring Special Olympics one step closer to reaching its global target to improve access to quality health for 11 million people with intellectual disabilities by 2020. These systemic changes will create a tipping point for unlocking access to health for the over 200 million people with ID around the world.